Even with the best preparation and a great care team, you may have difficulty getting access to the right treatment for you. There are many factors involved in determining how easy or hard it is to get access to the right treatment. These can include whether you have insurance, and if so, what type (Medicare, Medicaid or private insurance); who your healthcare provider is, where you live, and which medical condition(s) you have. 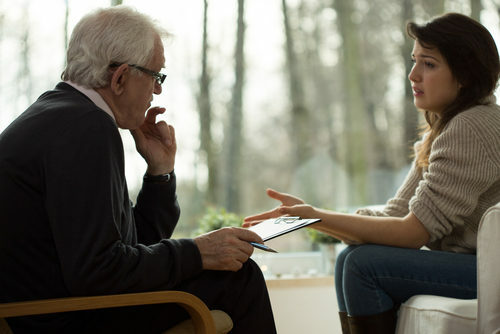 Depending on the answers to these questions, there may be resources to help you gain access to the treatment you need. These can include pharmaceutical companies, nonprofit groups and state programs. Many states have medication assistance programs. Often these programs are designed for the elderly, disabled or people in financial need. Some programs are for people with specific medical conditions such as end- stage kidney disease or HIV/AIDS. For Medicaid patients, the state ombudsman programs can be a resource for claims denials. Find information about your state’s Medicaid program here. For Medicare patients, you can find information on appeals if you have Medicare prescription drug coverage here, and information on appeals if you have a Medicare health plan here. Partnership for Prescription Assistance: A program sponsored by drug companies, doctors, patient advocacy organizations, and civic groups. It helps low-income, uninsured patients get free or low-cost, brand- name medications. RxAssist: An online database of drug company programs that provide free or affordable drugs and co-pay assistance. Center for Benefits Access: Provided by the National Council on Aging, this shares information about assistance programs for low-income seniors and young people with disabilities. RxHope: A web-based resource where you can search by medication to locate assistance programs. They also offer help with the application process. RxOutreach: A mail-order pharmacy for people with little to no health insurance coverage. The Patient Advocate Foundation has a resource directory for underinsured patients who currently have health insurance but are still struggling to meet the out-of-pocket cost demands. FreeDrugCard.us, a free national nonprofit prescription access program designed to help Americans lower their prescription drug costs. National Organization for Rare Disorders (NORD) assists under- insured individuals with co-payments for medications related to the patient’s diagnose of a rare disorder. NORD also provides counseling and a comprehensive database of disease-specific information. It is quite common today to seek a second opinion. It is your right as a patient to get a second opinion. You will get more information that will help you decide your choice of treatment. Most doctors are comfortable with a request to seek a second opinion. Some insurance companies even require one before they will cover certain treatments. There are many reasons to seek a second opinion. Some patients want to affirm that what their doctor has recommended is the best course of action. Patients with a more rare disease who are not being treated at a major teaching hospital may want to consult a specialist who regularly treats the disease. If you can’t be seen by the specialist on a regular basis, the specialist may be able to consult with your doctor and make a recommendation about treatment. He or she may know about clinical trials and specialized treatment that you can benefit from. Before you go for a second opinion, call your insurance company to find out what they will cover. Some companies will only pay for a second opinion if you get one from another doctor who is part of your health plan. Your doctor’s office will be able to give you a copy of your medical records. The medical records department of the hospital will have records of any treatment you received in the hospital. Ask both doctors to explain how they interpreted your test results, what research studies or professional guidelines they consulted, and how they arrived at their treatment plan. You may want to get a third opinion from another specialist— such as a pathologist, surgeon, medical oncologist, or radiation oncologist — to talk about the two opinions and give you their view. Become informed about your condition, and research the latest treatment guidelines on your condition. For example, if you have cancer, check the National Comprehensive Cancer Network (NCCN) Treatment Guidelines (www.nccn.org) and the National Cancer Institute’s (NCI) PDQ® Cancer Treatment Summaries (www.cancer.gov). They have information for both health professionals and patients.